Bahamas diving is world class. In fact, the Bahamas were rated #1 in Big Animals in the Caribbean & Atlantic by Scuba Diving Magazine’s 2013 Top 100 Readers’ Choice Awards. From reefs to wrecks, from playful wild dolphins to mysterious hammerhead sharks, Bimini offer a veritable underwater playground. Dive sites are generally all close to the shore and are just minutes from the dock. Direct exposure to the Atlantic Ocean and relatively shallow reefs make Bimini one of the most spectacular aquatic destinations in The Bahamas. The amazing coral reefs, blue holes and canyons are not only easily accessible but provide shelter for an abundance of marine life ranging from the tiniest of reef fish to turtles, dolphins, eagle rays and so much more. Gin clear waters … Dramatic continental shelf walls … Fish covered wreck sites … Endless options all located within minutes of the dock. Diving at the Bimini Sands Resort is top-of-class, in true Guy Harvey Outpost fashion. The on-site operation is Neal Watson’s Bimini Scuba Center. Neal Watson is President of the Bahamas Dive Association, and known affectionately in the industry as the “Dive God”. Neal is also Director of Dive Operations for Guy Harvey Outpost, so rest assured, his Bimini Scuba Center offers some of the best dive adventures to be had in the Bahamas. Bimini is one of Guy’s favorite dive destinations, so now, make it yours! Two Watsons are better than one! 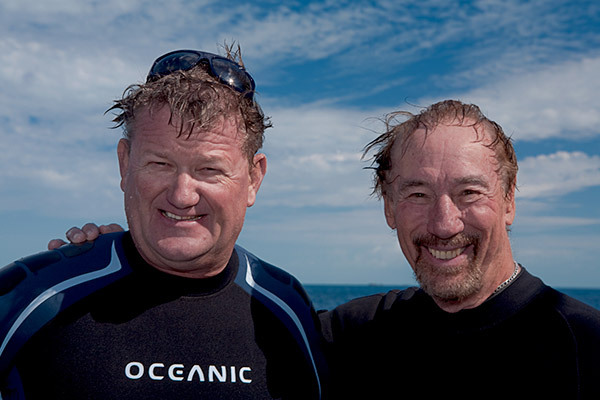 Our dive center is operated by Neal Watson and his son, Neal Jr. Diving with his dad throughout the Bahamas in his childhood, Neal, Jr. earned his PADI certification at the earliest possible age. He has run dive concessions in Florida, and on Andros and Eleuthera in the Bahamas. Neal Jr. manages daily operations Neal Watson’s Bimini Scuba Center. A certified dive instructor, he holds both a U.S. Coast Guard 100-Ton and a Bahamas Class A Captain’s license. 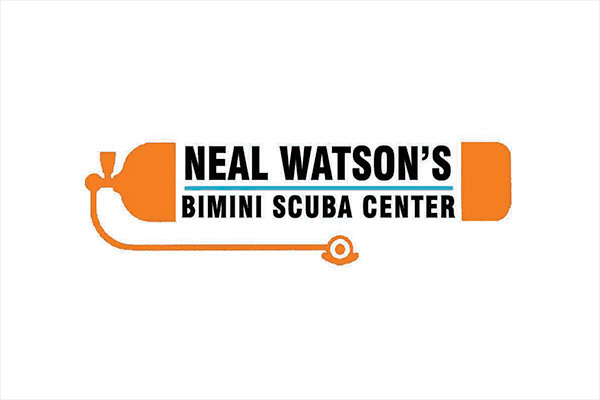 Neal Watson himself is a scuba diving pioneer with more than 45 years of experience diving the Islands of the Bahamas. Neal established the first dedicated dive operation in Bimini in 1975. He holds World Records for the deepest dive on compressed air (437 feet) and the longest distance swimming underwater with scuba non-stop without surfacing (66 miles in 19 1/2 hours). 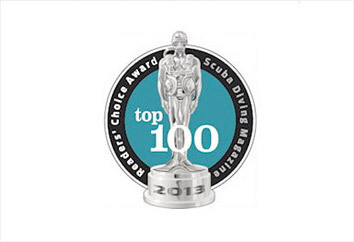 He is a 2014 inductee into the Scuba Diving Hall of Fame. 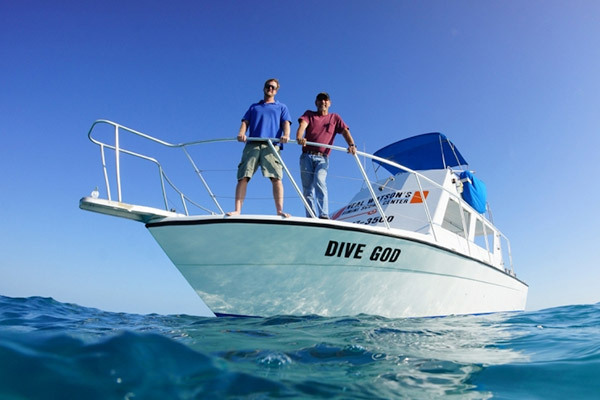 The “Dive God” is a custom built 40 foot Stapleton dive boat equipped with 50 dive tank racks, walk thru transom with dive platform and ladder, fresh water rinse tank, toilet, oxygen and first aid supplies, life jackets, life raft, coolers and sound system. Dive spots in Bimini range from shallow reefs and wrecks to deep wrecks and walls dropping into the abyss of the Gulfstream waters. The corals are healthy and vibrant. More than 20 great sites have permanent mooring buoys placed and maintained by commercial dive operators who welcome the use of the buoys by all boaters. Large schools of fish and other marine animals are attracted to the shallow waters around Bimini. The Gulf Stream is to the West of Bimini and its deep waters bring hundreds of marine animals close to the islands. It’s not uncommon for visitors to see wild spotted dolphin, Loggerhead turtles, Southern stingrays, reef sharks, nurse sharks, and barracudas, along with many gamefish and tropicals. This network of rectangular stones running in parallell rows situated in the heart of the Bermuda Triangle, has long been shrouded in mystery and myth. Often thought to be evidence of the lost Island of Atlantis, this beautiful site is perfect for snorkeling or diving. This stunning reef is made up of scattered coral heads that pepper a perfectly white sand bottom. It is virtually impossible to see all of this site on one dive, as the reef stretches nearly a mile. Hawksbill Reef runs roughly north to south, parallel to the shoreline of north Bimini. The coralheads here are swarming with all the local’s you would expect on a healthy reef. Angelfish, Bermuda Chubs, French Grunts, creole wrass, and moray eels all call this site home. Of course, the main star here is usually the Hawksbill Turtles resting near the bottom. The Strip is a 300 ft long “row” of coral running north and south off the coastline of north Bimini. The site is often a great option for our second “shallower” dive of the day, if we have chosen to head north. The Strip is loaded with Grunts, Snappers, Arrow Crabs, and spotted eels. A beautiful 90ft long freight vessel that was sunk after receiving hurricane damage in hurricain Andrew (1992). 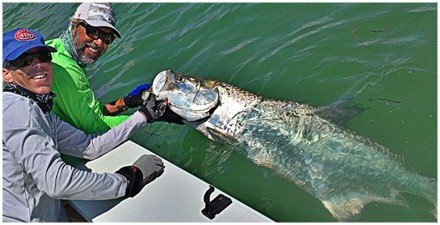 The wreckage of the Bimini Trader offers ample places for some gorgeous caribbean fish to swarm in huge numbers. A shallow coral reef that is often a favorite of video and photography fans. The reasons become evident once you dive the site … ample amounts of natural light and swarms of fish! The Bimini Barge rests in anywhere from 80 – 95 feet of water, lying east to west. So many fish often cover this wreck, that at times they seem to swallow it up! Lying in water that is almost “in” the Gulfstream, the currents can often be challenging on this wreck, however, it is not one to be missed! Turtle Rocks are a series of rocks running north and south, just above the water line, that seperate the Great Bahama Bank from the Southern Atlantic Ocean. Each of these rocks have beautiful coral formations and schools of fish on both the eastern and western sides. The shallower depths of the Bank are perfect for snorkeling, while the eastern reefs provide a number of beautiful dive sites. Spotted Eagle Rays, Caribbean Reef Sharks, and schools of tropical fish are what to expect here. 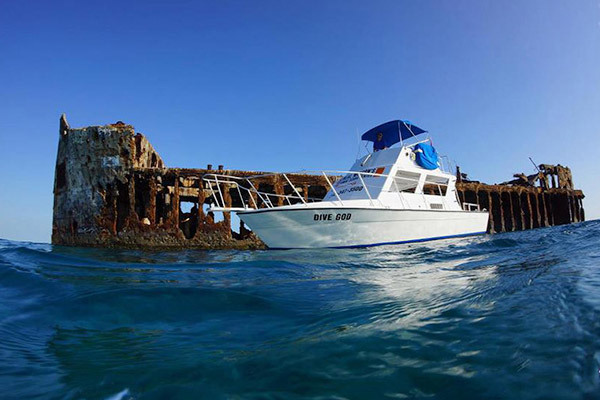 One of the most famous dive sites in the Biminis is the wreck of the Sapona. Jutting out of the water with a storied history (run aground in the great hurricane of 1926, used to store illegal rum during US prohibition, was the destination of Flight 19 that dissapeared in the Devils Triangle, cited in a James Bond Novel, and fired upon by George Bush Sr. in training exercises) and a huge variety of coral and fish life this could be the most well know site in The Bahamas. This reef lies directly east of a small chain of islands south of the Bimini’s. The reef has long been a favorite stop for liveaboard boats crossing over from Florida’s east coast. The wonderfully diverse site is often home to Caribbean Reef Sharks, Hammerheads, Spotted Eagle Rays, a wide variety of tropical fish, crustacians, and turtles. The wide range of creatures here often make it a perfect spot for a night dive. Possibly the most enchanting site among Bimini dive sites, this sits along the edge of the Gulfstream and aligns north to south. A stunning site full of caverns and swim-thrus, with dramatic underwater topography. Often done as a drift dive, the variety of critters here is staggering. Hammerheads, Reef Sharks, and big turtles are common, along with many Pelagic fish not often seen Scuba Diving, such as Wahoo and Mahi Mahi. Bull Run is the site of our Reef Shark Safaris and is pretty much guarantee when it comes to spotting sharks. Blacktips are the most common, however it is not unlikely to see Nurse, Lemons and Bull Sharks. Even without the sharks, this site is amazing! Filled with cut-outs, coral caverns, swim-thrus and so much reef its hard to see it all in one dive! Diving is weather and sea condition dependant therefore diving may be postponed or cancelled without notice. Prices are subject to change without notice. Prices and availability are subject to change at any time. Safari is Swahili for “long journey”. The amazing diversity of Bimini marine life reminds us of the experiences of an African Safari, only here we don’t have to trek across a dusty plain! One of the most exciting safaris offered here in Bimini is the Hammerhead Shark Safari. With the many years of shark research conducted by the Bimini Shark Lab, and the collaboration of shark scientists at the Guy Harvey Research Institute, Bimini has emerged as one of the best places on the planet to encounter one of the ocean’s most amazing predators, the Great Hammerhead Shark. The Great Hammerhead Safaris run occurs only for a limited-time period each year, with limited-availability, so book early secure your place on this spectacular dive adventure! Once divers are in the water, a member of our experienced staff will bring down a homemade frozen “chumsickle” and we all safely enjoy watching Blacktip, Caribbean Reef Sharks, Nurse Sharks and often Bull, Lemon and Hammerhead Sharks in a controlled, comfortable environment. An exhilirating and informative safari! For those seeking a more playful safari, Bimini is a fantastic place to encounter a variety of Bimini’s friendly and playful local stingrays. Idyllic Honeymoon Harbour off Gun Cay is home to a population of Southern Stingrays (Dasyatis Americana) that anxiously await the arrival of visiting guests. Simply by wading out from the beach or floating off the back of our boat, guests can interact with these frolicsome animals in a safe and exotic setting. And then there’s the Wild Dolphin Safari! The Atlantic Spotted Dolphin is the most curious and playful of all the marine mammals in The Bahamas. On our Wild Dolphin Safari, we travel north past the Bimini Islands to the western edge of the Great Bahama Bank where these animals are most often found. Ranging in depths of 15 to 30 feet of water, the white sand bottom makes for an incredible contrast to the crystal clear water. Once a pod of dolphin find us, they enjoy surfing our boat wake and often giving us an impromptu acrobatic performance. When the time is right, we get into the water and play with these spotted beauties. The more energetic and excited we become, the more they respond. It is certainly an experience not to be missed! All snorkel safaris include mask, fins & snorkel. A minimum of four persons per Safari is required. Tanks, regulator and BC are not included in dive Safaris, but are available for rental. Big Animal Safaris are subject to availability, and there is no guarantee you will see a particular marine species on a given day. Great Hammerhead Big Animal Safaris are offered in the months of January, February & March only. All shark safaris include a complimentary tour of the Bimini Biological Field Station (Shark Lab). A portion of all shark safari proceeds are donated to the Bimini Biological Field Station (Shark Lab) to help support research and protection of these magnificent animals. All course materials and dives are included in price. All equipment rentals are additional, except for Discover Diving course registrants. All tanks filled must have current hydro and VIP inspections. Credit Card Deposit required for all rentals. As they say, the job’s not done ’till the paperwork’s finished. Now we all know watersports are inherently dangerous. For this reason the dive center operates with a strict policy regarding the handling of release forms. 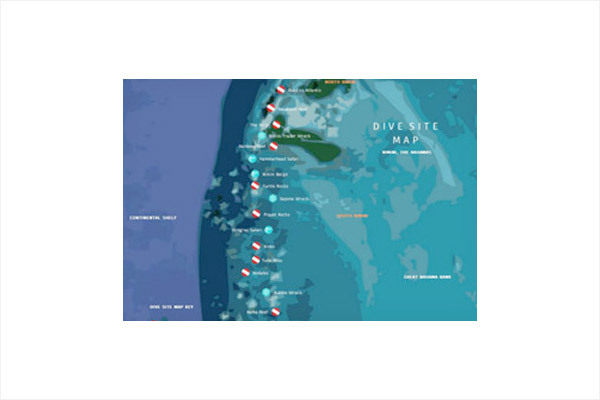 The Neal Watson Bimini Dive Center needs to collect two forms – the LogIn form and the Release Form (which varies based on the dive activity selected). The LogIn form activates your planned dive trip. This is where we collect your SCUBA Certification information (training agency and certification number) and determine what SCUBA gear you will be bringing, and what your equipment rental needs will be. The Release Form establishes your acknowledgement that snorkeling and/or diving is inherently dangerous, and you are releasing the Club and its affiliates from any liability relating to your use and participation in any or all of the Club’s snorkeling and/or diving activities. Our release form is the industry standard form used worldwide by PADI (the Professional Association of Diving Instruction). We trust you understand that we are not at liberty to accept any modifications of any kind to the form. Who Must Fill Out the Forms? To save you time and trouble, we recommend you process your paperwork before departing. 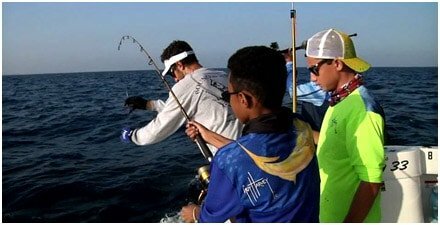 The primary diving and fishing forms can be accessed below. In filing out your form, please use your Full Name (as it appears on your passport) and your Date Of Birth (aka DOB). This is the only information we need. Please note that our forms use the North American format for dates – month/day/year. Once you have filled out all of the appropriate form fields, please print out the form, sign, and date it. Print out 2 copies if you wish to keep one for your records. Once your forms are completed, dated and signed, FAX or email them to sales@GuyHarveyOutpost.com. If you prefer, bring the completed and signed forms with you and give them to the staff upon your arrival. Regardless, you’re one step ahead to a great and memorable vacation with this paperwork behind you!